Personal life once more got in the way of even a simple, weekly haul post…so here’s a double-up from the last couple weeks! As such this also includes some Walmart, Half-Price Books, and Mac’s Backs books! New Superman, Supergirl, and Wonder Twins. I decided to try the new Transformers series. If IDW is rebooting the continuity and such and starting wholly fresh…fine, I’ll check stuff out. I’m not interested in following a ton of spin-offs and tie-ins or gigantic shared-universe stuff. But a contained universe, starting small, and seeing how much/if it grabs me…that I’m open for. $4.99 for 100 pages of The Maxx is certainly worthwhile on principle…I’m more than happy to support such huge issues at great price points! And speaking of…$7.99 for Annotated Marvels is still a great price and quite worthwhile to ME for my own nostalgia with the series. To get the cardstock covers, the reprint of the original issue (which I want to say–someone can correct me if I’m wrong–were $5.99 25 years ago) and the annotations for "only" $8 new is perfectly ok by me! 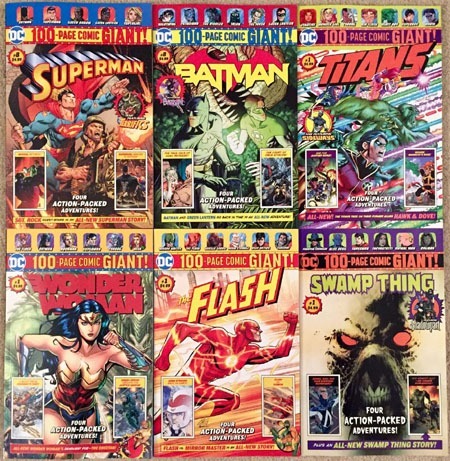 Then there were the release of the new issues of the six Walmart-exclusive (apparently only exclusive for a bit longer) 100-page Giants. I definitely dig the Superman cover most of all…the "iconic" Flash/Superman racing thing is quite nostalgic for me, going back to a 1989 issue of Adventures of Superman and its cover (which I eventually learned was itself an homage to a silver-age issue). 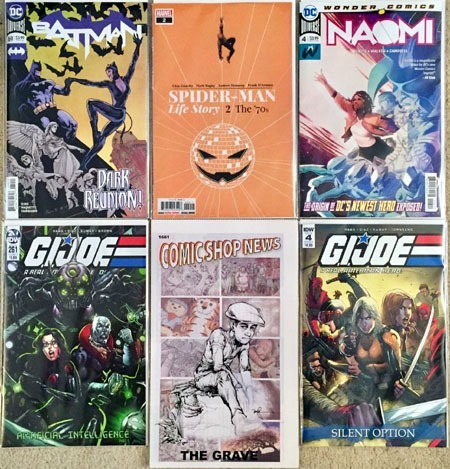 Though these are out, apparently there’s a "surprise" Detective Comics #1000 100-Page Giant due, but I’ve yet to find that one…and these six issues pictured above have probably been THE most spotty I’ve seen for the issues since last summer in availability–like the vendor cleared out all the previous stock and is only sparingly stocking these. 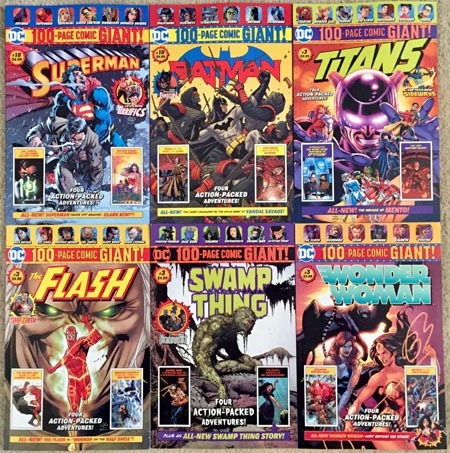 Along with the Walmart comics, Half-Price Books had another one of their week-long sales via coupons, with Monday & Tuesday 20%-off-one-item coupons, Wednesday & Thursday 30%, Friday & Saturday 40%, and Sunday 50%-off coupons. 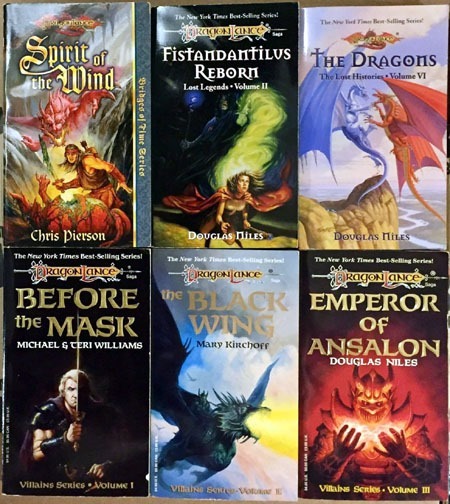 I went to HPB on the Friday and snagged these Dragonlance novels. 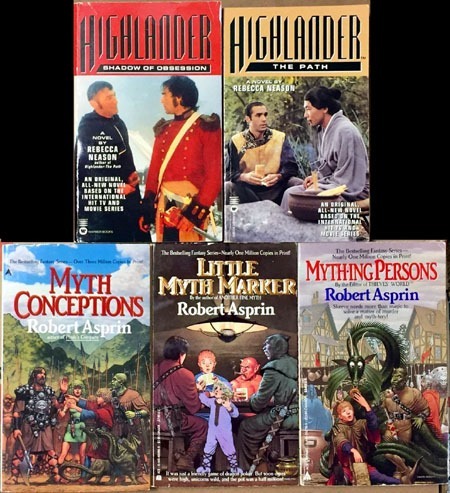 On the Saturday, I was in the area and visited a used-books store called Mac’s Backs, and scored a couple of Highlander novels I was missing, as well as 3 of the early Myth books by Robert Asprin. 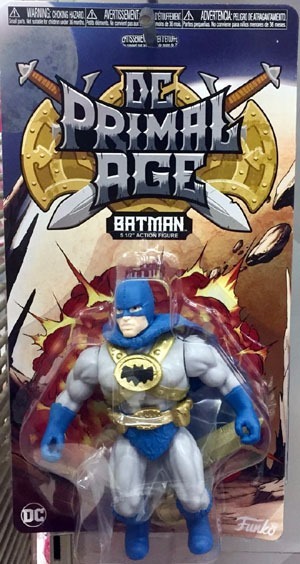 I also visited another HPB location and wound up getting a pack of Justice League: New Frontier figures with a comic…alas, I neglected to get a photo of it, so perhaps that’ll be another post later. 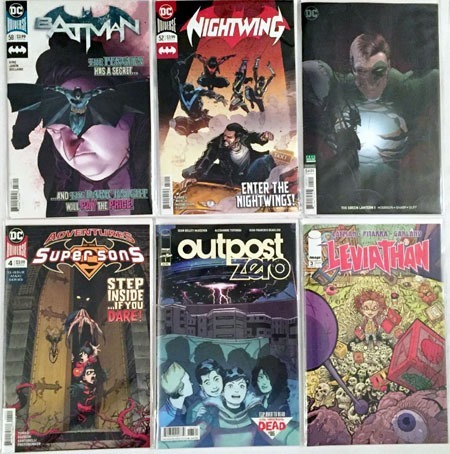 Batman, Nightwing, and Naomi hit this week. The Batman issue is probably THE most disappointing issue I’ve read in ages–VIRTUALLY a "silent" issue that can be flipped through in moments and summed up as "Batman chases someone, and the identity might be a surprise." It includes a scene that references the Batman/Elmer Fudd issue from a couple years ago if you know what you’re looking at…but that’s hardly worth $3.99 on its own! TMNT has its 92nd issue–we’re a "mere" 8 issues away from the first-ever TMNT #100 at this point! The new issue of Criminal is out. And I was juuuuust curious enough about Spider-Man: Life Story to get it…and it’s by far THE single best Marvel comic I’ve read in ages! A lotta personal stuff to it with personal nostalgia and such, but even so…I’d highly recommend it despite the $4.99 price! I gave in on some "hype" over the Immortal Hulk issue and decided to check it out…it’s #15, and it’s the first Hulk comic I’ve bought as a new issue in YEARS and it wasn’t actually all that bad. It has be curious about the series, and maybe I’ll check it out via Marvel Unlimited…and maybe I’ll get the next issue. We’ll see. Finally, the IDW iteration of Avengers has its 3rd issue–now an issue ahead of Spider-Man despite starting after that one. And since I was getting a splash of Marvel and didn’t hate the Captain Marvel movie, snagged the preview thing of CM stuff. 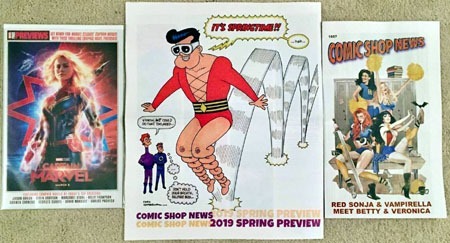 And the usual Comic Shop News stuff with a spring 2019 preview I may or may not actually page through. Depending on what personal life holds, I’ll hopefully "catch up" and actually get stuff posted for several other recent acquisitions in the toys-arena…as well as some new shelving arrangements. And though I’ve been saying it for years now, perhaps this spring I’ll actually, finally get around to a full showing-off of my "comic cave." Though the space has come to resemble a cramped comics/dvds/games/toys store. 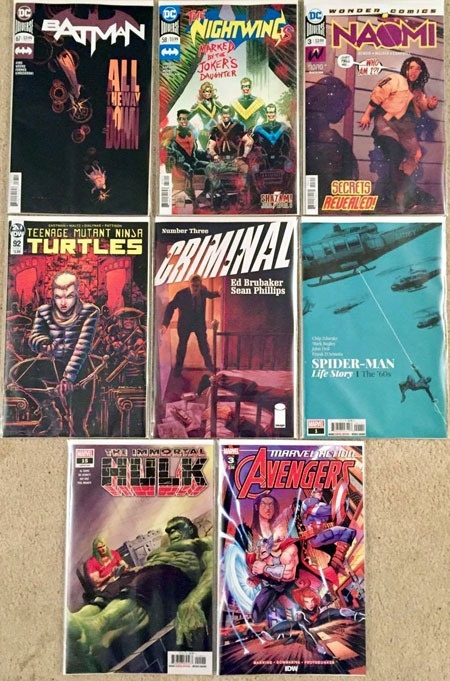 This week proved to be rather huge for new comics…at least for me, by my own standards! One might even say it was a Giant-Size week! 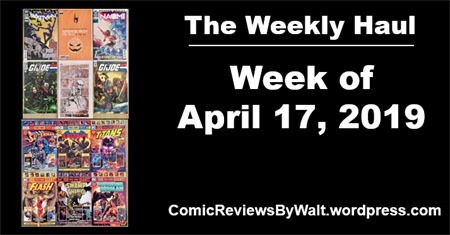 Double dose Batman this week with Detective Comics and the Flash crossover. We also have the debut issue of Wonder Twins, which I opted to check out as I’m pretty much giving this whole Wonder Comics thing a chance. Then there’s the newest issue of Superman as well as the newest Supergirl. 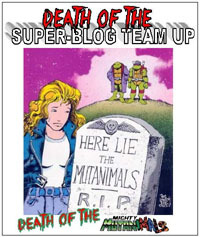 And TMNT is into the "final countdown" to issue #100, as #91 hits! Marvel actually got me on MULTIPLE issues this week! The usual with Mr. & Mrs. X #8. I "gave in" on Savage Sword of Conan #1…though I’ve no conscious intention of getting #2 and onward. There’s a nostalgia factor here, and I’m willing to "sample" the thing and get the #1 because it IS Conan, and I want to at least have "tried" one issue if I’m gonna be down on Marvel with it. If I’ve never bought so much as one issue, where do I have any authenticity to criticize? I didn’t even know about Marvels Annotated until the last second. I’m a sucker for this sorta thing…and as a "key" series from my youth, I’m more than willing to "double-dip" with getting this series again, with notes from the creators. Given the story AND visual quality–and this issue has both the original first issue AND the later-published #0 issue–along with the notes, it feels to me like an EXCELLENT (by Marvel standards) value! Criminal is back and I realize I have yet to read #1. Though I have all the TPBs (I believe) of the series thus far, with this new iteration, I figured I’d give it a few issues as single issues to see if/how it grabs me, AND see what any collected volume may look like, if it’ll be in line with the others, and so on. And Alien 3 (the William Gibson adaptation) comes to a close. Unless Tristan Jones is doing further covers of the newest Aliens mini, I’m pretty much done with the property as single issues and will opt for the collected volumes. 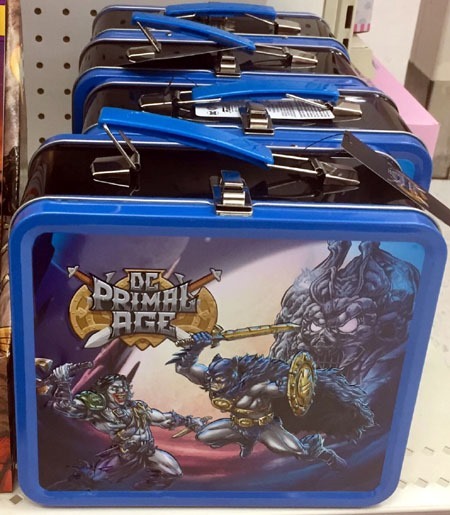 And then DC and/or the vendor that handles these at Walmart opted to drop ALL SIX of their MONTHLY 100-Page Comic Giant issues in the SAME WEEK. 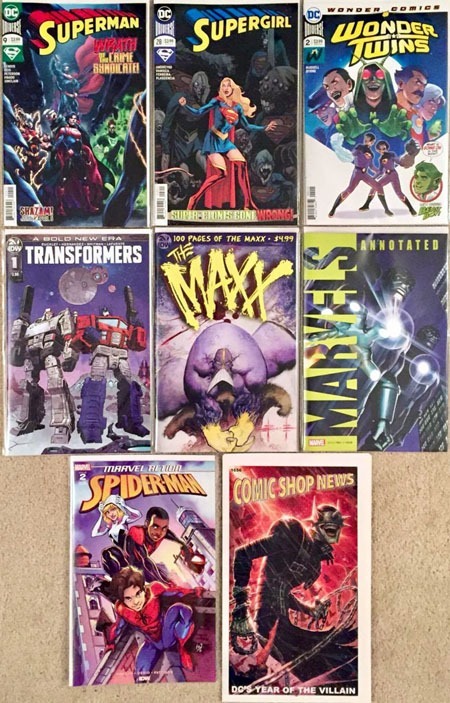 Even though these are a solid value at only $5 apiece for their size (these’d be $10 through Diamond to regular comic shops)…SIX of them at $5/each still stacks up to a whopping $30! A mere 8 months into the "experiment" and we already have TWO re-titled/re-numbered books with the Teen Titans book switching to the Titans title, presumably to capitalize on the DC Universe app/service show but other than the logo on the front and a #1 instead of #8, I believe it’s otherwise exactly what we’ve BEEN getting. The same thing with Justice League being retitled to Wonder Woman. 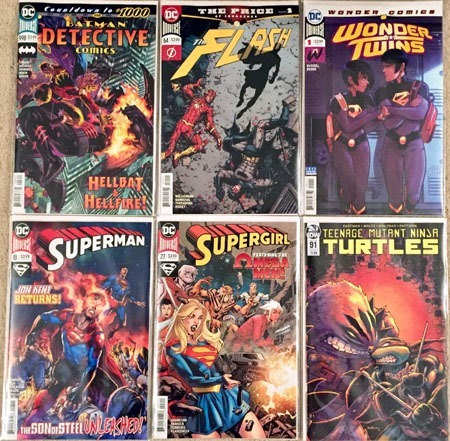 Then we have the new additions of The Flash and Swamp Thing, after "experiment" issues in a Swamp Thing issue last October and a holiday special in December. 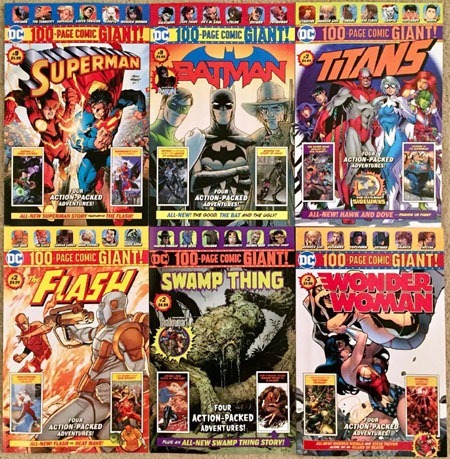 Of the original four, only Superman and Batman continue on with their title and numbering. 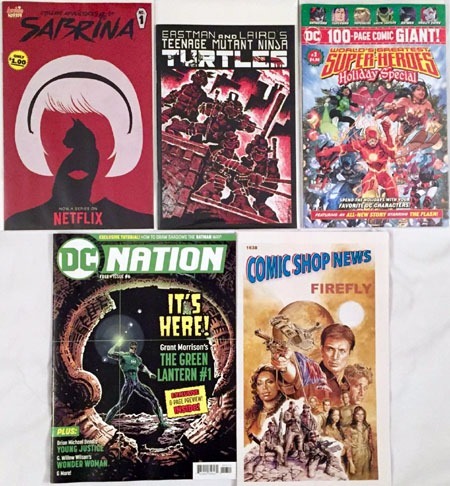 I’ve a bit of mental "sticker shock" as I look all these over and tally up the costs–seven $5 issues, an $8 issue, and everything else $3.99. 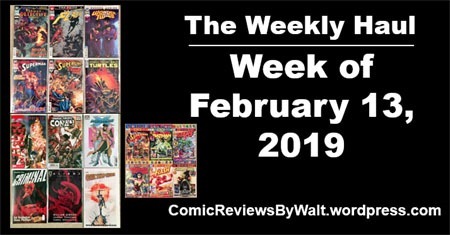 At least the Walmart issues don’t have six out every week; and the Conan and Alien3 issues are one-offs at this point. I’m only getting a couple issues of The Flash for this particular crossover with Batman. I jumped back onto Detective Comics for the run-up to #1000, but have yet to decide if or how far beyond #1000 I’m going to go. At the least, I am NOT impressed with the "Decades Variants" and so expect to simply get a single copy of the regular cover edition and let that be that. (Where last year, I got the standard cover, decades variants AND a couple other retailer covers for Action Comics‘ 1000th issue). Though I’ve been "mid-life crisis-ing" with some purchasing recently…that cannot and will not extend to comics, at least NOT long-term. 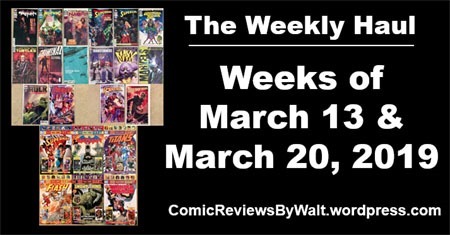 Huge weeks like this remind me just what a poor value comics truly are, and will push me to all the more drastic decisions regarding what I’ll buy regularly. As with many toys based on comics, it IS the comics that spark my interest. Of course, it doesn’t seem all that often that there’s a sort of "original property" to come of it in quite this way. 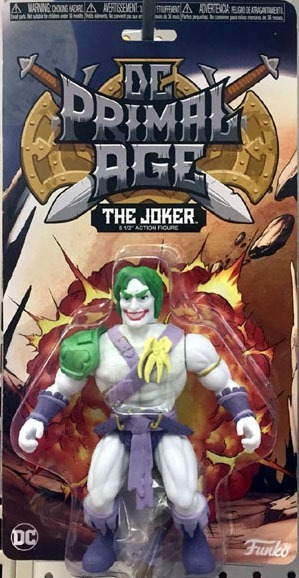 Funko had (has? I don’t know if they’re still making them) a line of vintage-style action figures–just small, basic figures on a little card; then they’ve done some larger figures, and their Mortal Kombat ones especially caught my eye (though the price put me off). Then Bleeding Cool ran a piece about a new Target-exclusive 100-page comic with a similar trade dress to the Walmart-exclusive books…and the "completist" in me decided that yeah, I would be seeking it out. 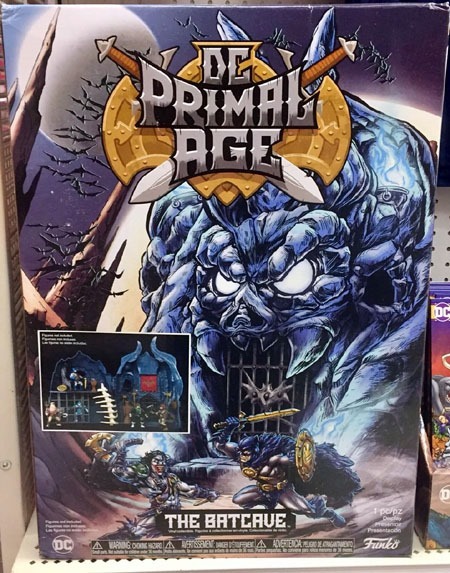 Apparently this Target one is based on a new toy line or such. And in seeking out the comic I found an endcap display of what seems to be the entire toy line! 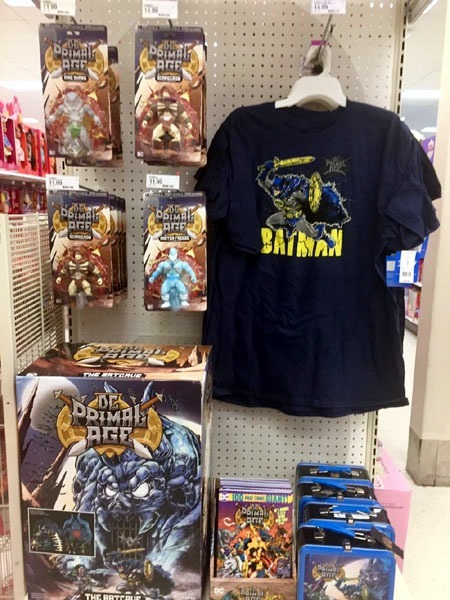 In an age where it seems some entire toy lines are relegated to 2-3 pegs, period…it’s cool to see this line get at least an initial larger endcap display! 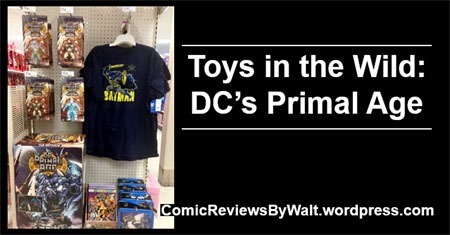 Here we have 4 pegs of the figures, a t-shirt, lunchboxes, the comic itself, and the Batcave playset. (With a Joker Beast on a shelf below these). For me, the "main attraction" is the comic. I was somewhat surprised at its basically $10 price ($9.99 or $9.95…) but that’s in line with this sorta thing; I imagine it’s bulk that helps allow the Walmart books to be "only" $5. 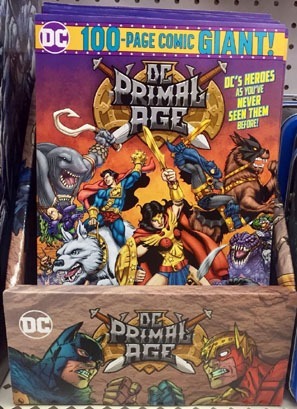 This DC Primal Age or DC: Primal Age feels a lot like an Elseworlds thing, or like something out of Batman: The Return of Bruce Wayne (except featuring a lot more characters in "a past"). That it’s a comic–essentially an "original graphic novel" but cheaper, and "supporting" (or supported by?) a toy line makes it a bit more "special." There are old-style lunchboxes. I’d be sorta interested except that I don’t need yet another sort of item to collect. I dig the look of this one’s art, though…and something about it reminds me a bit of He-Man or even Conan the Adventurer (the animated one, not the live action). Maybe my favorite of the bunch is Batman…though unfortunately there’s no Superman. I’m not sure if I feel better about it having read the comic and Superman at least being there, than if he wasn’t even (at least) acknowledged there. Green Lantern’s another one that’s rather appealing, and works well here. He’s at once familiar yet fits this alternate reality. 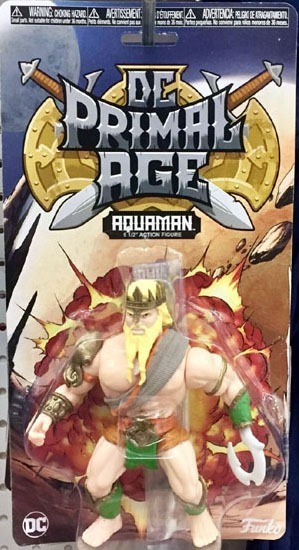 I’ve got mixed feelings on the look of Aquaman…but I really like that we get an apparently-’90s-inspired "hook for a hand" take on the character. 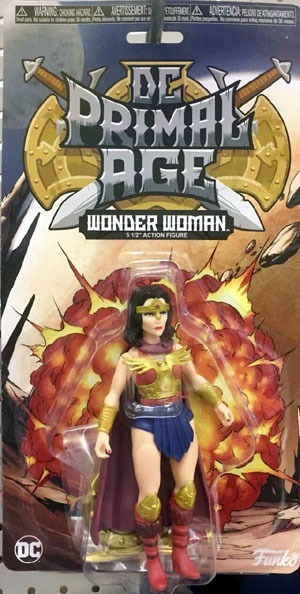 This Wonder Woman is one of the more "normal"-looking ones of the bunch; also smaller and far less bulky than most of the others. 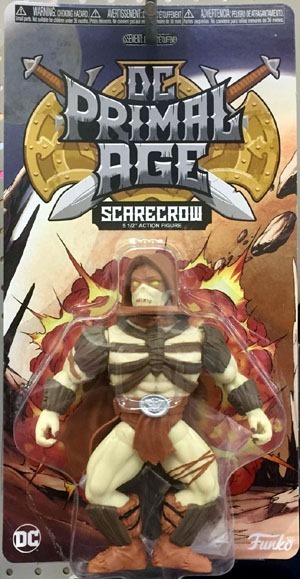 I’m not overly keen on this look for Scarecrow…something to it is fitting of the character/name, but also looks rather generic to me. 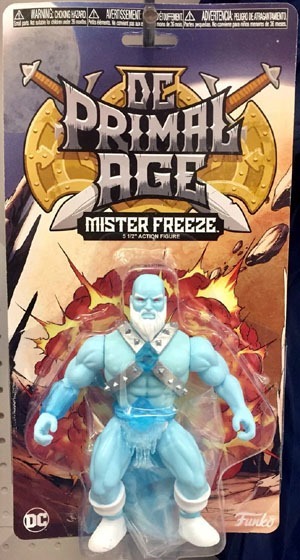 Mister Freeze is an interesting one…almost like an old, blue Conan; I can go with the "ice-gladiator" look, but there’s something slightly "off" to me. At the same time…this would be the first of the villains I’d get! 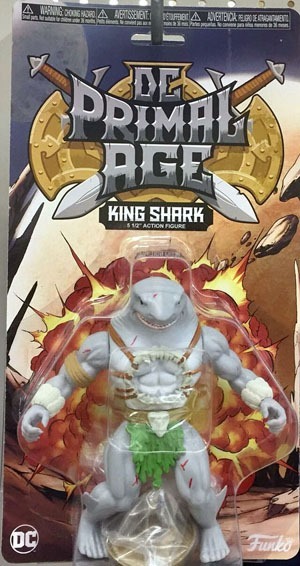 King Shark is an interesting character…on one hand, doesn’t seem to fit–a "fish out of water" and all that–but then, on the "primal" theme and "knowing" sharks are rather ancient…it’s kinda fitting. While perhaps one of the more "iconic" characters, I’ve gotten rather tired of–and bored of–umpteen different Jokers. Still…like Batman, Joker seems to work well with numerous interpretations. 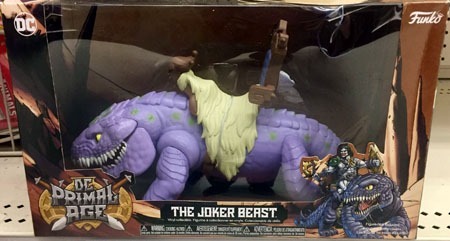 Of all the characters, The Joker is the one who gets a "ride" or in this case, I guess more of a "mount." It fits, sure, but I’m not overly keen on it. Then again, as a display piece, it’d make a nice addition. I’m just not sure about its $20 price! The Batcave seems like a neat thing; sort of the "ultimate piece" to the toy line. $60 may not be horrible for it, but it’s something quite impractical for me as I’d have nowhere to display it, and at this size, displaying is far less versatile than "just" the figures themselves! The card backs all seem to be the same…which works; I definitely like that they show "all" the figures. 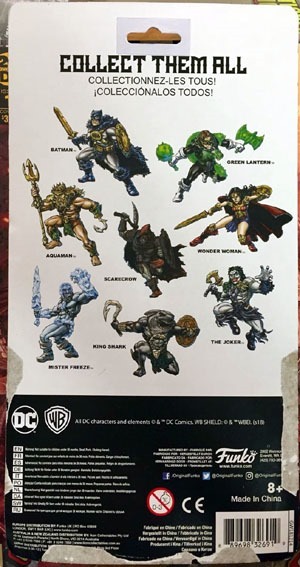 As mentioned above, though, I’m disappointed that Superman was not included…though I’d hope perhaps there are plans for a second wave of figures that might include him! While the photos above were taken in the store, I did wind up deciding to buy one for now. Here’s a slightly-larger look at the art-depiction of the entire line (another nice throwback touch). 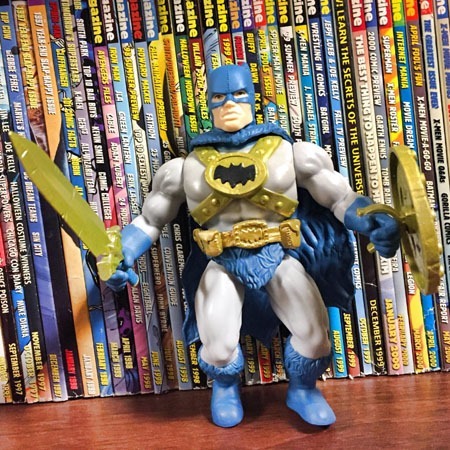 And here is Batman himself, out of the package and armed with his sword and carrying his shield. The figure is not particularly-well articulated…but for me at least, that is definitely part of the charm of this sort of figure, in an age of hyper- and over-articulation in figures, it’s great to get some basic figures that just simply look cool and that have some basic poses. Like a lot of stuff out of the ’80s and my childhood. Still, at roughly $12/figure I don’t really see trying to get them all; though if they last in the stores long enough, maybe I’ll snag one here and there and eventually end up with them all. 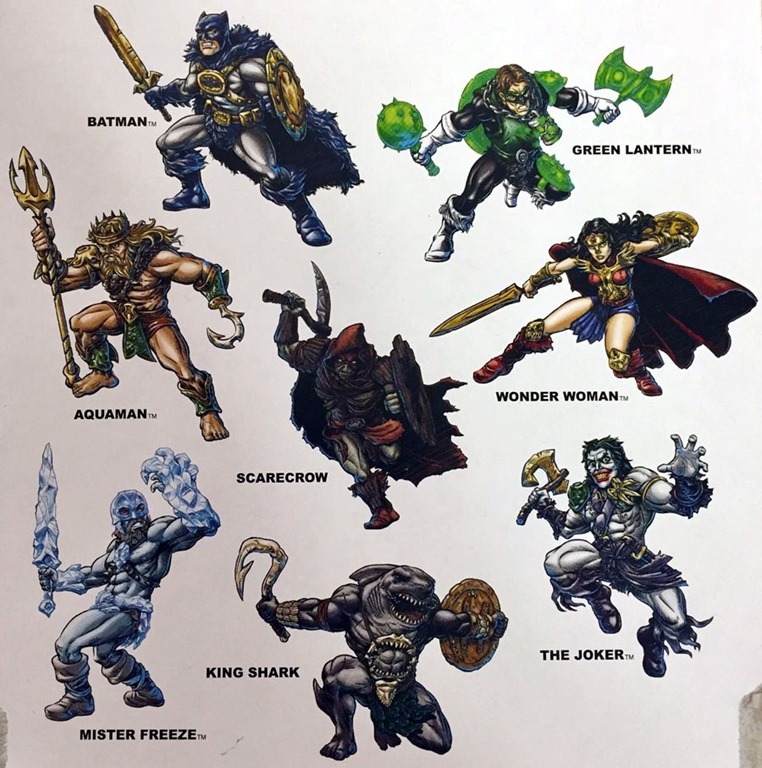 I picked up Batman, and am definitely interested in Green Lantern and Aquaman, as well as a villain, so likely Mister Freeze or King Shark. So time will tell. It’s also very refreshing to see a line such as this with just ONE version of each character; and a good MIX of "good guys" AND "bad guys," where often it seems like there’s not much of a mix with maybe "just" some "good guys" or umpteen variants of a main "good guy" and one or no villains. I enjoyed the comic–despite its size, I read it basically in one sitting, and I’d say it’s a large reason why I’d enjoy getting some of the other characters! This feels like something that could totally be a cartoon series…and I guess that’s where the comic sort of takes the place of the cartoon, giving stories involving the characters and to provide further interest in the figures. 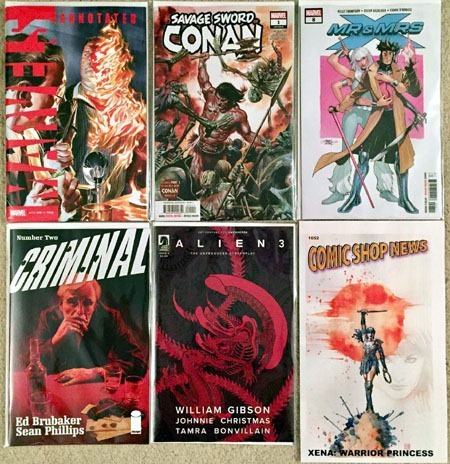 Last week wound up being a decent-sized week, both for new comics as well as Half-Price Books having a coupon sale with 40% and 50% off coupons! First off, the new issues of Batman and Nightwing that have become top-of-the-stack reads fo rme. 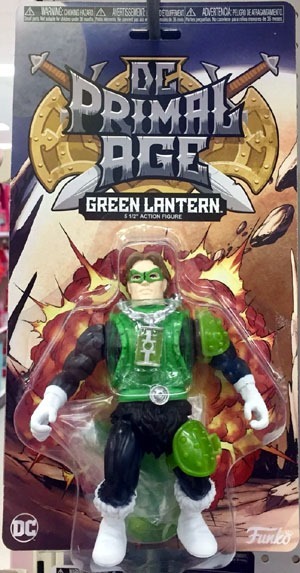 Then there’s the newly-relaunched Green Lantern title with a "The" added onto the beginning, and a new, boring, plain-looking logo as The Green Lantern #1. While I had figured it’d be a curiosity, I had not expected it to be sold out less than an hour into the afternoon–arriving earlier than usual lately and it was already sold out! (Much thanks to Sean for selling me a copy that he’d had aside for himself!). Adventures of the Super Sons is quickly solidifying as something I’ll try to read after the fact, but knowing I’ll want the singles, it’s less aggravating to just get them as they come out than try to hunt them down later. The newest issue of The Walking Dead presents Outpost Zero as a "flip book," and I honestly bought this for the Outpost Zero segment more than anything else (and then the Walking Dead side is just a face and no actual Walking Dead logo/titling!). I feel like Leviathan #3 is running a bit late, but i"m not certain. I’m still undecided on following this long-term, but figure with each issue as long as it doesn’t put me off too much, I’m not opposed to continuing–AND I really like the logo/title design! I have yet to check out the new Netflix series for Sabrina, but as usual I’m up for a $1.00 reprint, this one The Chilling Adventures of Sabrina, part of the Archie horror line that seems to have more or less stalled out. A Kickstarter that I’d backed awhile ago for a Munchkin Teenage Mutant Ninja Turtles finally came in, and one of the "bonus" items was a reprint of the original Mirage edition of TMNT #1! And then at a Walmart looking for other stuff, I happened to notice this latest "holiday" 100-page Giant, so snagged it, keeping myself up to date on those issues. 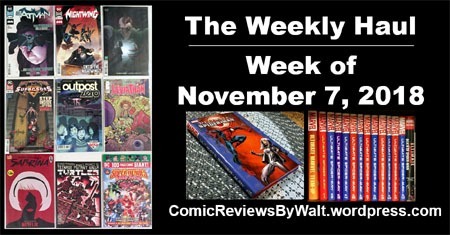 And finally, the newest issue of DC Nation as well as the newest Comic Shop News! Half-Price Books occasionally does coupon sales via email, where they send coupons every day for a week or so, with a progressively higher discount percentage, beginning at 20% then going to 30%, 40%, and then ending on 50%. 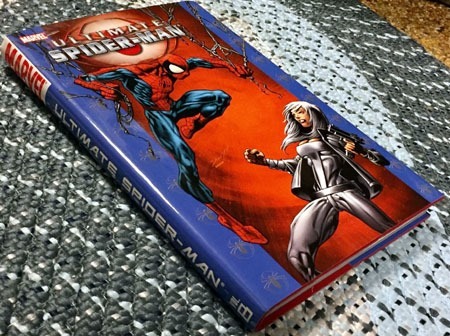 I went to an HPB further away than my "usual" area, and while I’d intended to get a game, I happened to spot Ultimate Spider-Man volume 8 in the locked case, and as the one volume I was still missing, found an employee and was able to get a look at the book itself. It was priced significantly above cover price, but still well under what I’ve seen it sold for online…and with the 40% off coupon, that brought it down to cover price, so I jumped on it! …and that now gives me a complete run of Ultimate Marvel Team-Up (Ultimate Spidey) and Ultimate Spider-Man itself, vols. 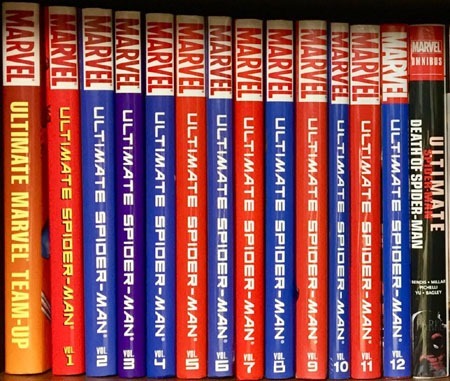 1-12 and the Death of Spider-Man Omnibus…this is the entirety of the original Ultimate Spider-Man series, including annuals and a mini-series/tie-in or few! 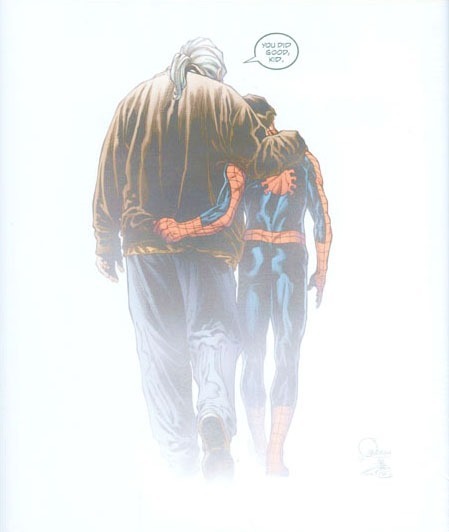 I didn’t get this post ready over the weekend, nor finished on a lunch break–and between starting this and actually posting…news hit the world that Stan Lee has passed away. Morbid though it is, when it came to "tribute art" or such, the image I first thought of–and words to offer on his passing that came to mind–are from the cover of that omnibus. I’ll surely have more to say later…as will likely everyone else whose lives have been touched by comics!